Bring a touch of texture to your planters. 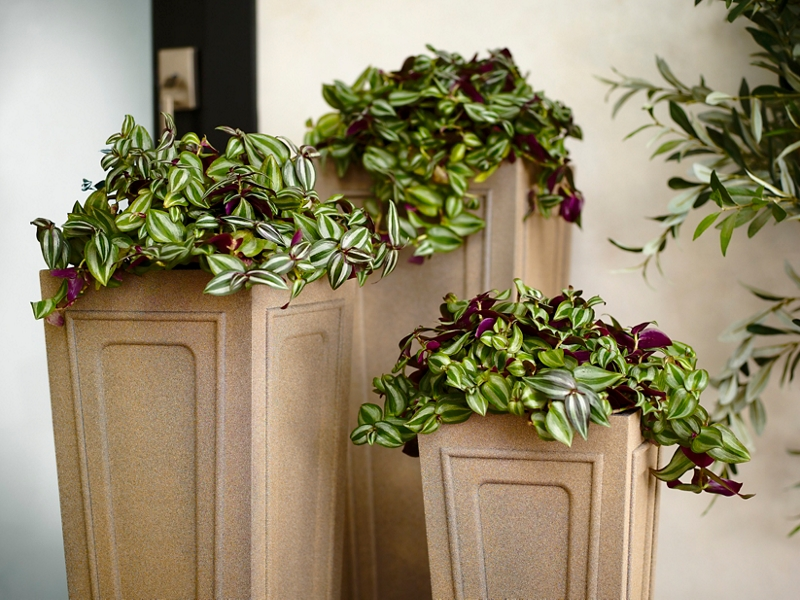 In a well ventilated area, place metal planters on newspaper. Wipe down the planters with a cloth. Carefully spray planters in sweeping motions from side to side, with light event coats, slightly overlapping each spray for the best results. Recoat once planters have dried. Allow to dry prior to adding plants or shrubbery.